Under the title "A pragmatic approach", Bunkerspot magazine presents the positive outcomes of the LNG Masterplan project which came to a close in December 2015. With oil prices still on the slide, Lesley Bankes-Hughes, Publishing Director at Bunkerspot, considers how the initiatives developed under the LNG Masterplan can move forward. The LNG Masterplan project final booklet presents in short the project's main activities and results. It provides an insight into the main achievements of the five dedicated project activities dealing with market analyses, technologies and operational concepts, vessel and terminal solutions, regulatory framework and Masterplan as well as pilot deployments. In addition, it gives from the perspective of the energy consulting company IPA Advisory an insight into the worldwide LNG development. This E-Newslettter which is the last one in a series of 5 editions presents an update on the LNG Masterplan project activities with regard to education and training requirements, pilot deployments, LNG implementation strategy and recommendations. 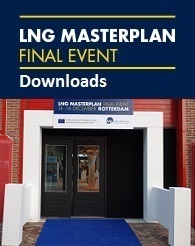 It provides first-hearing information on the LNG Masterplan final event and gives from the perspective of the energy consulting company IPA Advisory an insight into the market conditions for LNG as bunker fuel. This edition provides information about the development of the regulatory framework regarding LNG as cargo and as fuel, offers an insight into some of the project's success stories, namely the pilot deplyoments and shares the most notable lessons learned. In its inlay you may find general information about the project and the partners involved as well as a summary of the main project deliverables. The LNG Masterplan project and it outcomes has recently been promoted in the 1st of June edition of the Parliament Magazine next to the Decarbonisation of Transport feature. 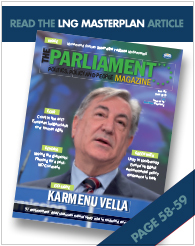 The Parliament Magazine is the magazine for the European Parliament and the European Commission and it is published once every two weeks since 1996. 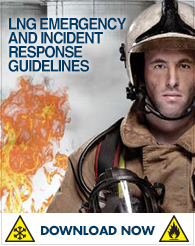 The article about the LNG Masterplan project can be found on pages 58-59 and can be downloaded here. LNG Masterplan project coordinator Mr Manfred Seitz talks about the project's status in the Small Scale LNG supplement of the LNG World Shipping magazine. The interview can be found on pages 15-19 and can be downloaded here. The E-Newsletter presents an update on the LNG-powered inland shipping tanker of DAMEN and the LNG terminal of Bulmarket. It offers valuable information about LNG terminal solutions as they result from (pre)-feasibility studies and technical concepts. As the development of LNG technologies will have an impact on the use of LNG, Arthur Barret, Program Director LNG Bunkering Gaztransport & Technigaz provides a short contribution for this edition. The E-Newsletter offers an insight into the latest activities developed within the LNG Masterplan project and presents the progress in the “Education and Training” field and offers valuable information about emission calculations and major dissemination work. As the development of the market for marine LNG will have an impact on the inland navigation sector, we have asked Alain Bourgeois, Vice President Gas & LNG Bergen Energi AS to provide a short analysis for this edition. The E-Newsletter presents the status of three pilot deployments, namely the LNG powered container vessel (Eiger-Norwand) of DCL Barge (Danser Group), the LNG bunker vessel of Bernhard Schulte and the LNG bunker station developed by Port of Antwerp. It offers from the perspective of the energy consulting company PACE Global (Siemens) an insight into the market conditions for LNG as bunker fuel. The first LNG E-Newsletter reveals the planned timeline for the regulatory framework under development to accomodate LNG as cargo and as fuel, offers a progress summary of two pilot deplyoments, namely the LNG fuelled chemical tanker of Chemgas Barging and the LNG refitted container vessel of DCL Barge and describes the work developed under the sub-activity dealing with education and training requirements.